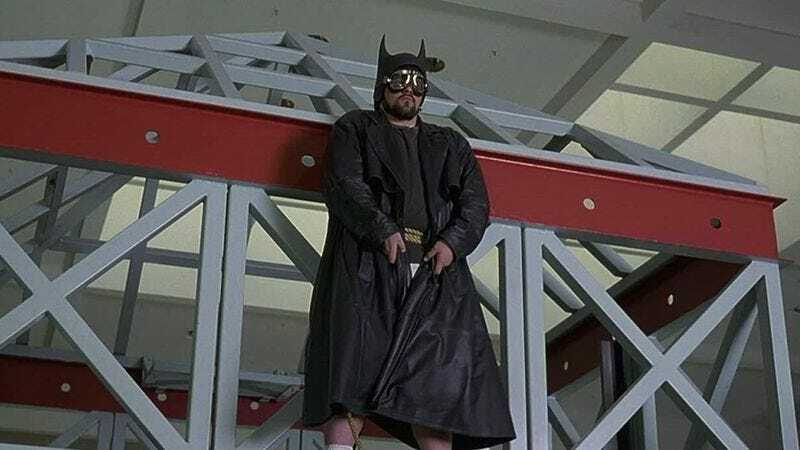 Suggesting that the only infestation he’s dealing with is the unnecessary franchise bug, Kevin Smith has confirmed that his recent comment, “I smell a rat,” was a not especially subtle reference to a Mallrats sequel, the scent of which Smith can already pick up from here. “It’s half scripted right now,” Smith recently told Tucson’s Rock 102 KFMA, so this Kevin Smith movie would seem totally ready to shoot. But it turns out Smith still needs to time for “pulling our loot together,” a process of financing and pillaging he believes will be done in time for a May 2016 start of production. He didn’t elaborate as to a plotline, or whether Mallrats 2 would feature a return from beloved 1990s stars like Shannen Doherty, Jeremy London, and shopping malls, although most have since fallen into disrepair. Before you can expect Mallrats 2, of course, Smith still has Clerks III, the Johnny Depp-starring Yoga Hosers, Anti-Claus, and other things that no one was technically clamoring for, but will nevertheless be a lot of fun for Kevin Smith.